Dan Walters has been a journalist for more than a half-century, spending all but a few of those years working for California newspapers. At one point in his career, at age 22, he was the nation’s youngest daily newspaper editor. 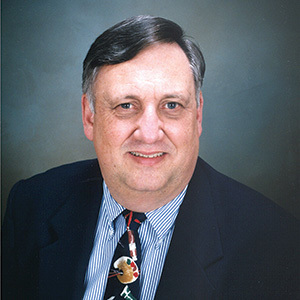 Mr. Walters joined The Sacramento Union’s Capitol bureau in 1975, just as Jerry Brown began his governorship, and later became the Union’s Capitol bureau chief. In 1981, he began writing the state’s only daily newspaper column devoted to California political, economic, and social events and in 1984, he and the column moved to The Sacramento Bee. He has written more than 7,500 columns about California and its politics and his column now appears in more than 50 California newspapers. Dan Walters has written about California and its politics for a number of other publications, including The Wall Street Journal and the Christian Science Monitor. In 1986, his book, The New California: Facing the 21st Century, was published in its first edition. He is also the founding editor of the California Political Almanac; the co-author of a book on lobbying entitled The Third House: Lobbyists, Money and Power in Sacramento, and he as contributed chapters to two other books, Remaking California and The New Political Geography of California. He is also a frequent guest on national television news shows, commenting on California politics.